Incorporating Environmental Flows, Climate Change and Ecosystem Services into Freshwater Mussel Conservation and Management. The Freshwater Mollusk Conservation Society will host a workshop on the topic of “Incorporating Environmental Flows, Climate Change and Ecosystem Services into Freshwater Mussel Conservation and Management” on April 19 and 20, 2012, at the Holiday Inn, 197 E. Broad Street in Athens, Georgia. On Thursday, invited speakers will address science, policy and legal issues related to establishing and maintaining environmental flow recommendations for mussels. 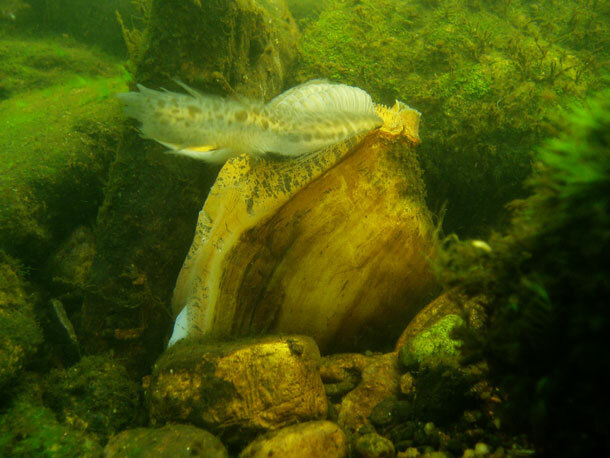 Speakers on Friday morning will consider how to incorporate climate change into freshwater mussel conservation; talks will range from an overview of national and regional activities to local case studies. The Friday afternoon session will cover the emerging science of “Ecosystem Services” and how this can be used in estimating the value of mussel conservation. All sessions will end with panel discussions incorporating questions from the audience. There will be a combined student poster session and social on Thursday evening. Morning (8:30-12:00) and afternoon sessions (1:30-5:00) on Environmental Flows. Lunch provided on site (12:00-1:30). Evening social including student poster session (7:00-10:00). Morning session on Climate Change (8:30-12:00). Afternoon session on Ecosystem Services (1:30-5:00). To register, please click on REGISTER button at bottom of this page and follow instructions.